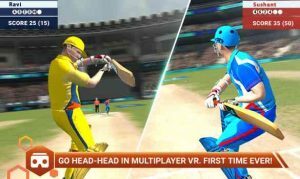 Sachin Saga VR : Welcome to the World’s first Multiplayer Cricket Experience in stunning Virtual Reality. Step into the crease as Sachin and experience the game like the Master. This is as real as it gets. Sachin Saga VR requires the use of the Sachin Saga VR headset and the Sachin Saga Pro Gaming controller for proper functionality. Refer to the Sachin Saga VR website for further details. Immerse yourself as Sachin into an authentic cricketing experience and experience the action through the eyes of the Master from the middle of the pitch in some of the most legendary stadiums around the world over a 24 Year career. Experience thousands of fans cheering as you hit a hundred hundreds. Challenge your friends or family in the World’s first multiplayer Virtual Reality Cricket Game. Pick your teams and go Head to Head and prove who’s best! Get your cricket kit on for a 3,5 or 10 over experience in Quick Play and take on the best opponents. Face the fastest bowlers at over 90MPH and experience the real-time physics of international cricket action from the center of the pitch. With the Sachin Saga Pro Gaming Controller, you can play your shots just like the Master did. Square cut the ball away from fielders, sweep a shot all the way to the boundary, or step down the track to hit the ball out of the park for a 6. Experience the action through the eyes of the Master blaster in first person or third person camera to experience the unprecedented action of 22 yards right in the comfort of your living room. Get ready for the most immersive cricket experience ever built in virtual reality. See you on the pitch! best 3D virtual reality game ever. I loved original game and now this VR version is simply awesome. Though it needs dedicated VR headset and controller, I got mine today at IGS show. Kudos developers ! Thanks! We’re very happy you’re enjoying your purchase of the Sachin Saga VR hardware! Thank you for the feedback and the rating. Bought the device at India gaming show and it works great! Great to hear this! Thank you. Awesomeness!!! what an experience!! Real life cricketing experience. Hello. Can you please let us know if you are utlizing the Sachin Saga VR hardware? The Sachin Saga VR game requires use of the Sachin Saga VR hardware. 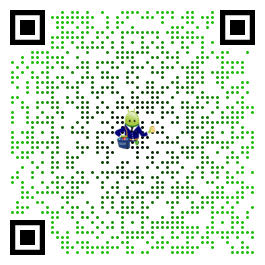 It will not function correctly only using your mobile screen. Please contact us at VRsupport[at]jetsynthesys.com if we can be of further assistance!